This page provides a simple SAM D21 System Timer (SysTick) GCC code example for the ATSAMD21J18A MCU. The project configures the SysTick module to produce interrupts every millisecond, using the default CPU clock frequency (1 MHz). The SysTick handler routine is used to count these interrupt events and toggle the onboard LED once every second. 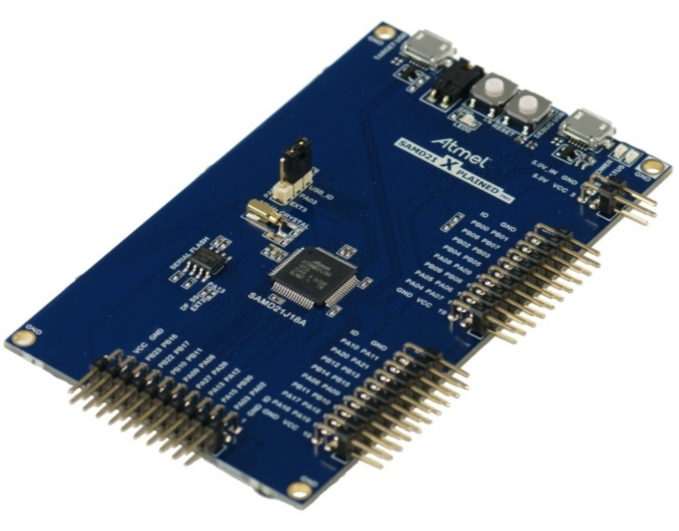 The application is designed to work using the SAM D21 Xplained PRO Evaluation Kit (ATSAMD21-XPRO) which contains the ATSAMD21J18A Arm® Cortex®-M0+ MCU. 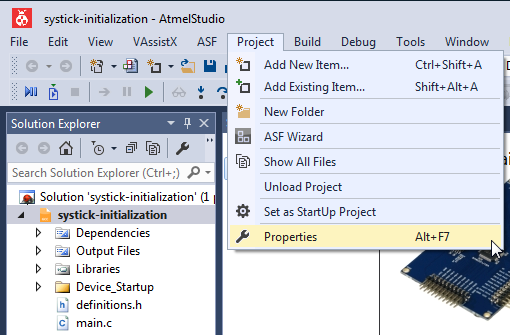 This code example uses a direct/indirect MCU register C-coding style (i.e., no software framework) and is built using the GCC compiler toolchain within the Atmel Studio 7 IDE. You should see the folder C:\MTT\32arm\samd21\code-examples-gcc\systick\systick-initialization containing the solution systick-initialization.atsln. 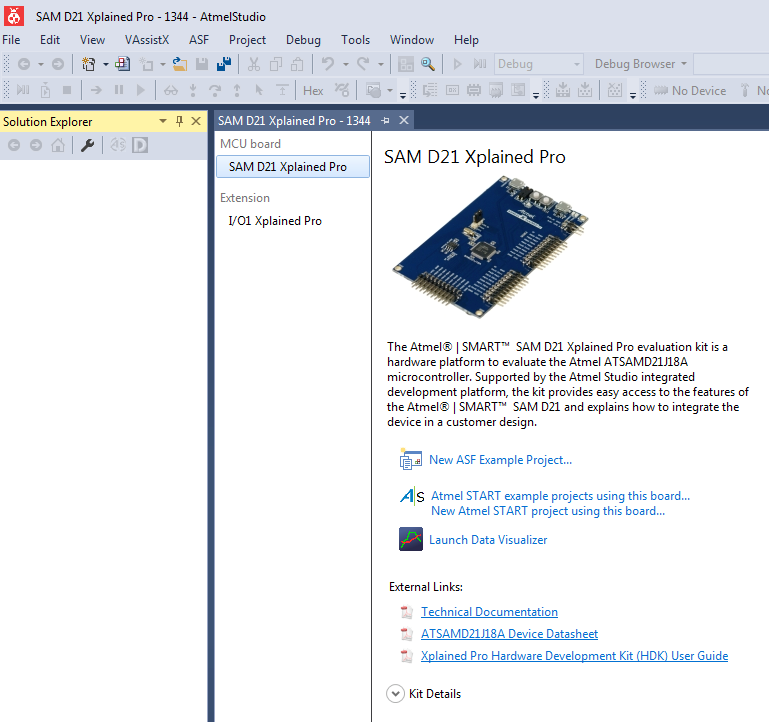 SAM D21 Xplained Pro contains an Embedded Debugger (EDBG) that can be used to program and debug the ATSAMD21J18A using Serial Wire Debug (SWD) interface. 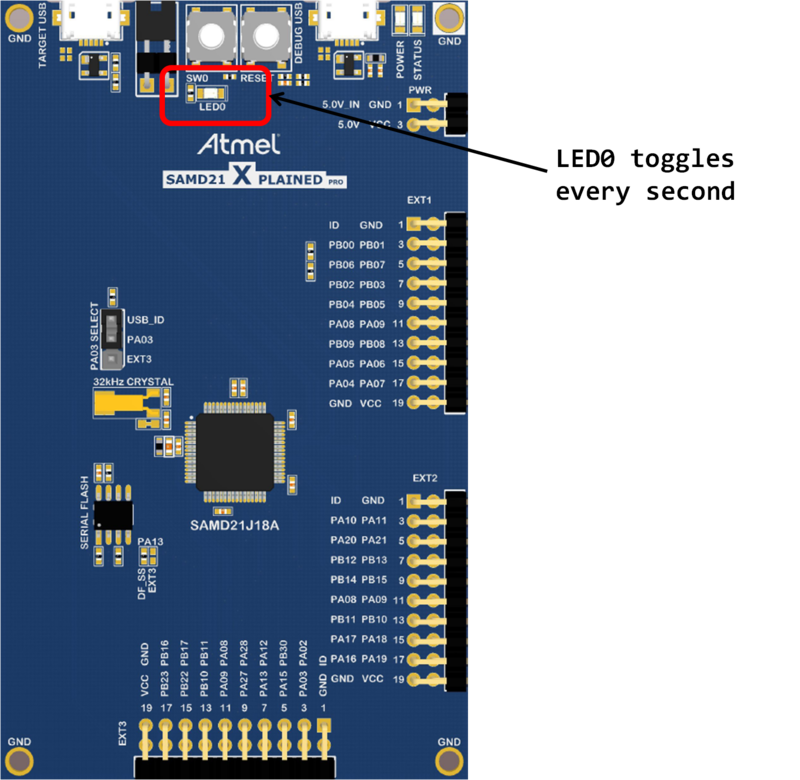 The EDBG also includes a Virtual Com port interface over UART, a Data Gateway Interface over SPI and TWI, and it monitors four of the SAM D21 GPIOs. Atmel Studio 7 is used as a front-end for the EDBG. The board is identified by the last four digits of its serial number (see the sticker on the bottom of the board). In this example, the last four digits are "1344". 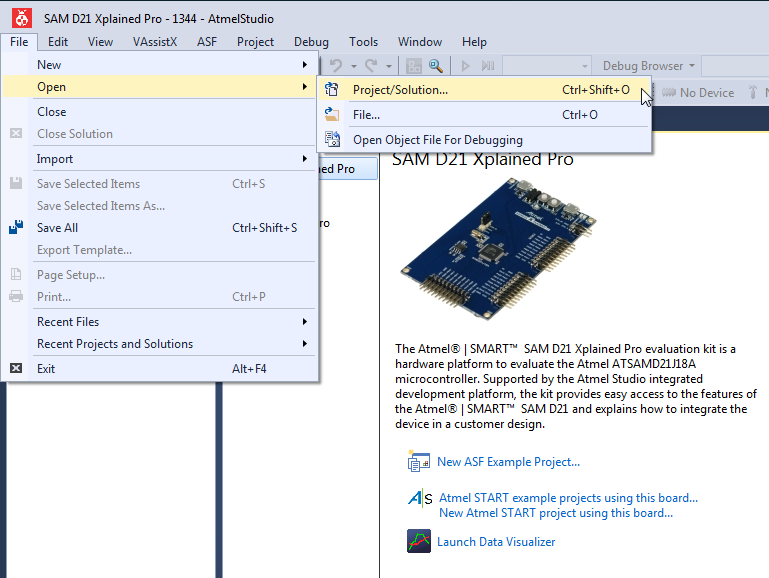 Finally, click on the Start Without Debugging icon in Atmel Studio which (i) re-builds the HEX file from the project source code, (ii) downloads/programs the HEX file onto the target MCU, (iii) and releases the target MCU Reset pin, allowing the program to execute. 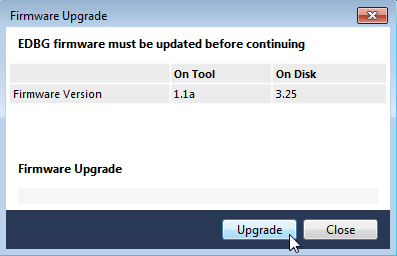 You need to click on Start Without Debugging again after a EDBG firmware upgrade in order to rebuild/program the target. This project has provided a simple example of how to set up and use the SysTick timer on SAM D21 MCU.